Focal Pointe Design LLC is a design, build, install, manage and complete construction firm which provides unparalleled service in our area specializing in the Grosse Pointes. With over twenty five years of experience, we provide our clients with professional full service during project development, design, review and construction. Kuby Building Co is a full service design/build firm that strives to bring back old world craftsmanship one home at a time. We incorporate new technology, state of the art building practices and products into all our work. Everything done by Kuby Building Co comes with a lifetime guarantee that it will perform and last- As well as a guarantee that you will be thrilled with the process, cleanliness, communication and finished product of every project. 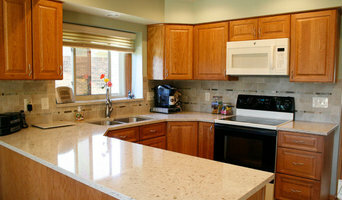 Petrucci Johnson Homes - is a leader in custom home building, home renovation, and home remodeling. Our completed projects have improved home values throughout Oakland County and surrounding communities in southeastern Michigan. Our dedication to excellence means that we have a watchful eye on every phase of every project, maintaining positive progress and watching every detail. Luxury homes with custom features are a particular area of expertise for the Petrucci Johnson Homes team. Our specialty wine cellars, rooms for sport activities, suites for family members, accommodations for special needs and accessibility are all of the highest caliber. Creativity, honesty, craftsmanship and professionalism are our watchwords. Superior quality and outstanding customer service are our reputation. Professional Restoration Group, a partner company of Petrucci Homes is IICRC certified in fire and smoke restoration, mold and water damage, specializing in the remediation of these issues along with storm damage and structural problems. We provide the highest level of service and quality construction through the rebuilding and restoration process. We guarantee prompt, 24 hours a day, 7 days a week, 365 days a year service. Our pledge is to maintain the highest levels of professionalism, integrity, honesty and attention to detail in all aspects of our business. PRG simply means… rebuilding and restoring with care. 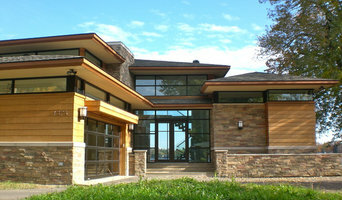 Meadowlark Design+Build <a rel="nofollow" target="_blank" href="http://www.meadowlarkbuilders.com">http://www.meadowlarkbuilders.com</a> is an award-winning company specializing in green architecture and construction. We design and build custom homes, remodels, additions, kitchens, home exteriors and any other residential building project. 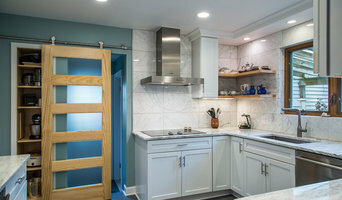 We produce unique built-in cabinets and project details in our custom woodshop. Our clients enjoy personalized service, a transparent process and superior product quality that our in-house teams deliver daily. Experience the excellent value we offer from start to finish with your next project. 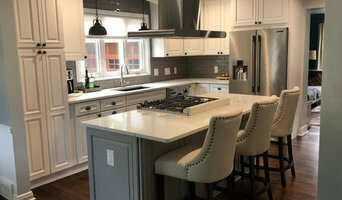 For almost twenty years, Sterling Development has been building and renovating homes centered in the Birmingham/Bloomfield area and reaching out into the surrounding cities/townships of Oakland County. Because of our commitment to innovation and excellence, Sterling Development has been awarded a winner in multiple categories of the Detroit Home Design Awards for three consecutive years. We have also received recognition in several local publications and one our homes in Birmingham will be featured in the Temple Israel Home Tour in the spring of 2015.